To ensure workers the rights to organize, increase the willingness of labor and management to negotiate and establish a diversified labor-management dispute settlement mechanism, three major labor laws in Taiwan, namely the Labor Union Act, the Collective Agreement Act and the Act for Settlement of Labor-Management Disputes were amended and went into effect on May 1, 2011. Through implementation of these three laws and other related regulations set forth in international conventions, the protection of workers’ rights to organize is furthered. 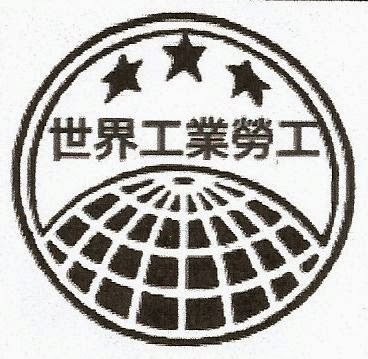 In addition to relaxing restrictions on workers’ right of organize, including allowing teachers to form and join unions, the Ministry of Labor also removed restrictions placed on the nationality of union members, thus allowing foreign workers to organize and join unions and participate in union activities. By having independent operation, labor unions can operate autonomously to achieve sustainable development and enhance their solidarity. At present, there are 5,285 labor unions in Taiwan, totaling to 3,362,024 members and a union density of 34.3%. To safeguard the right to bargaining, the Collective Agreement Act was reviewed and provisions on obligatory negotiation and negotiation in good faith were incorporated to assist labor and management in establishing effective collective agreements. Also, the adjudication mechanism prescribed in the Act for Settlement of Labor-Management Disputes encourages self-initiated labor-management negotiation and maintenance of labor and management autonomy. Statistics show that the enterprises re-signing collective agreements and signing collective agreements for the first time in 2011, 2012 and 2013 increased by 56%, 28% and 23%, respectively, indicating the positive improvement in development of collective labor-management relations. Furthermore, to help eliminate unfair labor practices and restore labor-management relations, the Ministry of Labor established an unfair labor practice adjudication mechanism and recruited specialists familiar with labor laws and labor-management relations to form the Unfair Labor Practice Adjudication Commission. The Commission is responsible for reviewing unfair labor practices and protecting the rights of workers to organize unions and participate in union activities, signing collective agreements with employers and monitoring collectively against unfair labor practices. It is clearly stipulated in the Labor Standards Act that no employer shall, by force, coercion, detention, or other illegal means, compel a worker to perform work. This is in line with international development of human rights protection. All workers (including employees of managerial levels, caretakers and security guards) employed in business entities of professions to which the Labor Standards Act applies are protected by the Act. To broaden the scope of protection, lawyers hired in the legal service industry and farmers are now also included in the Labor Standards Act respectively on April 1, 2014 and January 1 2015. The Ministry of Labor is reviewing the possibility of applying the Labor Standards Act to workers in professions not yet included. Though there are criticisms on workers not receiving overtime pay, such statements are not accurate. By law, Article 24 of the Labor Standards Act stipulates how overtime pay is to be calculated. Statistically, of the 7,137,983 people employed in various industries in 2013, 3% of the average monthly wage of NT$45,664was overtime pay; regulations on overtime pay also apply to foreign workers. Allegations on domestic workers received less than NT$1,000 a month is also untrue. According to the 2013 Foreign Worker Employment and Management Survey report, the average wage of foreign domestic caretakers (including overtime pay) was NT$18,425. To ensure that foreign domestic caretakers receive full wages, Article 43 of the Regulations on the Permission and Administration of the Employment of Foreign Workers specifies that other than the National Insurance Premium, Labor Insurance Premium, income tax and other amounts to be withheld according to law, employers must pay foreign workers their wages in full. The Ministry of Labor enforces the regulations to make sure foreign domestic caretakers get their full wages and fines any employers who violate the regulations with a penalty of NT$60,000 to NT$300,000. Continuous labor inspection is a primary goal of the Ministry of Labor. Another misconception is that the ratio of labor inspectors in Taiwan being 0.27 per hundred thousand workers, far below the international standard of 1.5 per hundred thousand workers. The Ministry of Labor clarifies that there were 10.86 million workers and 294 labor inspectors (now already increased to 384) in Taiwan during the first half of 2013. This equates to 2.7 inspectors per hundred thousand workers, far above the international standard.. There are plans to increase the number of labor inspectors further in two stages. By 2015, Taiwan will have a labor inspector-worker ratio of 1:15,000, which is the standard the ILO recommends for industrialized nations. The rights and interests of domestic workers are also a top priority of the Ministry of Labor. The draft Domestic Worker Protection Act regulates that wages of domestic workers “may not be lower than the minimum monthly wage announced by the central competent authority.” The Act also stipulates termination of labor contract, payment of wages, working hours, rest time, special leave and request for leave, insurance and filing of complaints. Currently, the draft is at the Executive Yuan for review. Before the legislative procedure is completed, the Ministry of Labor will work out other feasible administrative measures to safeguard the rights and interests of domestic workers. The rights and interests of foreign workers are protected with established regulations and measures as well. In Taiwan, employers are required to inform the local governments within three days after their foreign workers enter the country. This is done so that foreign worker inspectors can visit foreign workers to check on their living conditions and living quarters and to see whether employers are paying full wages accordingly. The Ministry of Labor also makes extensive announcements via public media to remind employers to pay foreign workers their wages in full and not to make any unjustified deductions. Foreign workers may also call the Ministry of Labor’s 1955 Hotline to seek counseling or file their complaints if their employers fail to pay them for work performed on holidays or violate other regulations. Depending on the seriousness of the violation, the Ministry of Labor can order such employers to pay the wages within a given period or impose a fine of NT$60,000 to NT$300,000. The Ministry may also partially or completely revoke their permits to recruit and hire foreign workers. The Labor Standards Act also regulates foreign workers’ food and lodging expensive in that workers and employers may negotiate to determine wages and specify in the labor contract that such expenses are to be paid with a part of the wage. This regulation is applicable to both local and foreign workers employed in professions to which the Labor Standards Act applies. However, since foreign domestic workers are not covered by the Labor Standards Act, and since their workplace and place of living being the same place, the Ministry of Labor regards it inappropriate to deduct food and lodging expenses from their wages. At present, food expenses of foreign domestic workers are mostly paid by their employers. The Ministry of Labor would like to reassert that the Republic of China, Taiwan has been making every possible effort to protect the rights of foreign workers and will continue to do so by equally applying labor protection regulations and measures in the country. At the moment, Taiwan is actively promoting economic development and transforming industrial structures to upgrade the business competitiveness and encourage enterprises to adjust wages for their employees. The Ministry of Labor will act accordingly and continue to enforce various labor policies, improve the bargaining capacity of labor unions and enhance the skills of workers to boost their employability. This year, the Ministry of Labor will launch a “Work-life Balance” program to promote gradual work hour reduction and better working conditions.